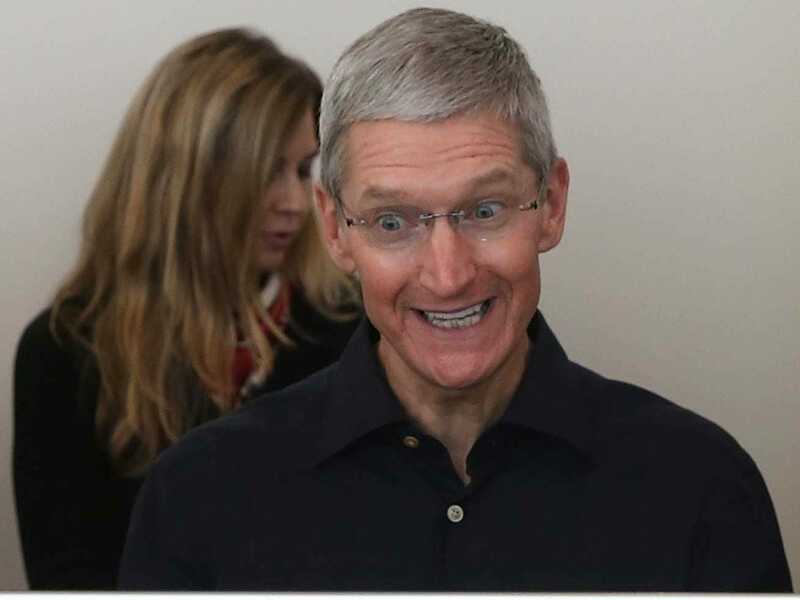 Apple’s shares are up 1.64% today to $US113.45. This is a new all-time high for the stock. More importantly, its pushing Apple’s market cap to its highest ever value at $US663.2 billion. Apple’s previous market cap high was $US658 billion in September of 2012. After that, things got ugly. It crashed to $US373.65 billion in June of 2013 before resurging. When Apple was crashing many people thought Apple was doomed. They thought the iPhone business had run its course. They thought growth was over for Apple. The iPhone business has proved resilient. Sales are growing at a double digit pace which is incredible considering the big numbers were talking about. Apple’s iPhone revenue was $US27 billion last quarter, which was up 21% year-over-year. You try growing a $US27 billion 21%. This quarter, Apple is forecasting more revenue gains. It doesn’t break out iPhone sales in it forecast, but its overall revenue forecast is $US63.5-$US65.5 billion. If it hits the top end of its guidance, sales would be up 15%.